produced by Morris W. Beck in 1962-1975. The "Cachet" as the printed design is known by cover collectors. Morris W. Beck covers are known for their high quality color cachets. Beck is most famous for his series of 1000 covers. The space recovery covers of that series are of particular interest to collectors around the world. He did not use a numbering system on all covers he produced. In total he produced over 2,000 Event, Naval, Space, and First Day Covers. Style 1 used on Special Cover "S"
Beck numbered each cover in the series 1-1000. There are three numbering style varies throughout the series. Shown are just a few samples for reference. 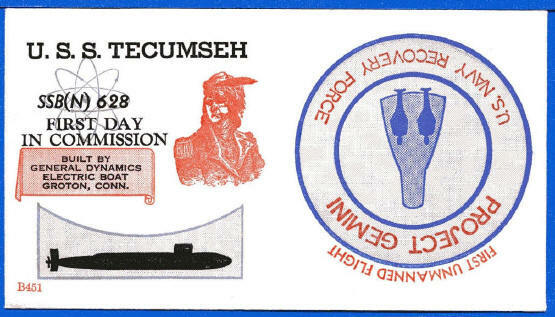 The best resource for information about the many different naval postmarks comes from the Universal Ship Cancellation Society, USCS. The classification system used universally was developed by LCDR Francis E. Locy. 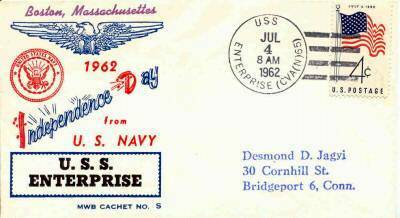 His valuable work is now available from the USCS as the Catalog of United States Naval Postmarks. It is available from the USCS at this link. 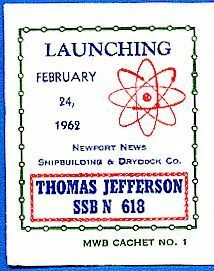 There are many different cancels used by the US Navy on Beck Naval Covers. See more on the Locy System for classifying Naval Postmarks at this USCS link. 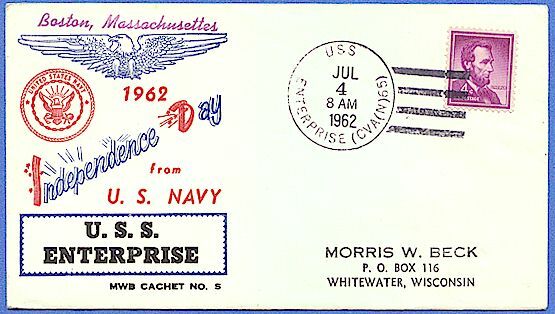 Beck added a cover to the 1962 Independence Day covers. Covers numbered 100-299 were all Independence Day cachets. The Enterprise cover shown above was added to that series as MWB Cachet No. S. This is a very scarce cover and sought after by many cover collectors. 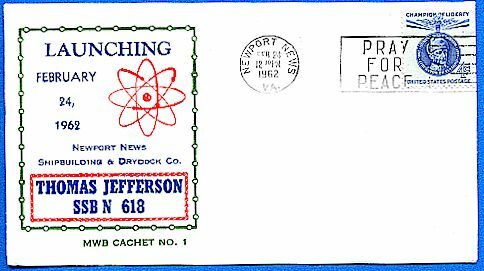 Below shows an envelope printed by Morris W Beck for testing printing and proofing of the covers he printed. This is the only such envelope this collector has ever seen or heard about. It recently sold for $20.00 and is a very good find for a serious Beck Cover Collector. Two of these cover have been reported.